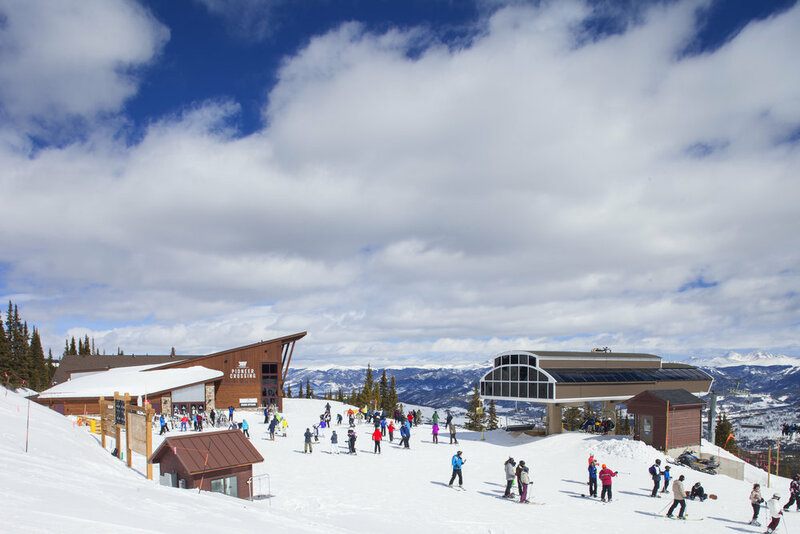 Hitting the slopes and getting caught up in the rush of the ride at Breckenridge Ski Resort is a quintessential Colorado experience. 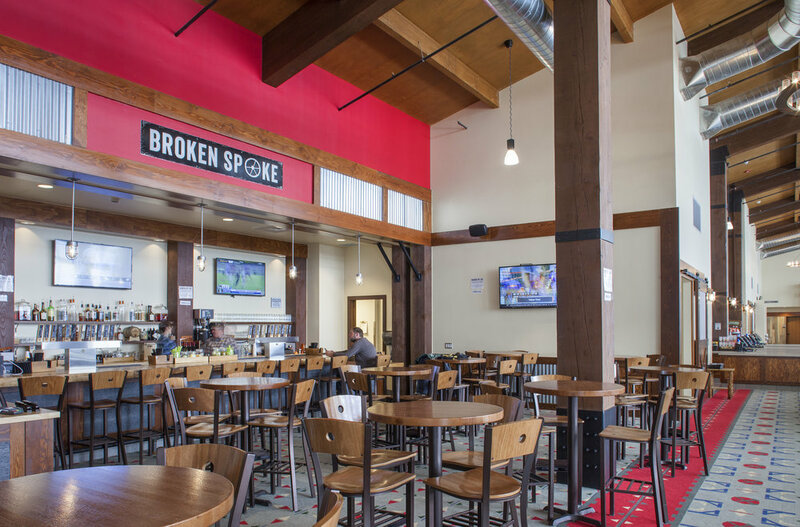 Even the most enthusiastic of skiers and boarders, though, need a respite during a long day on the mountain, a place to relax and grab a bite to eat or a brew to recharge for a few more runs. 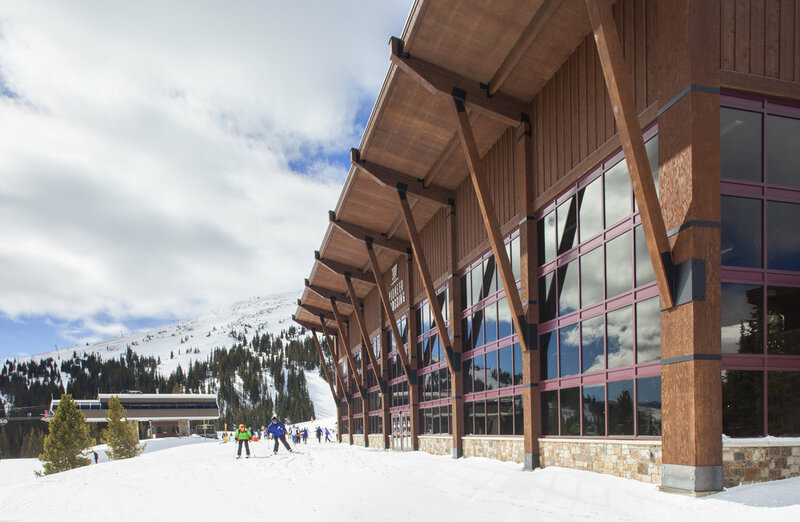 Pioneer Crossing provides these amenities and much more in an incomparable setting with a structure that both frames and complements the jaw-dropping mountain vista and valley of Breckenridge below. 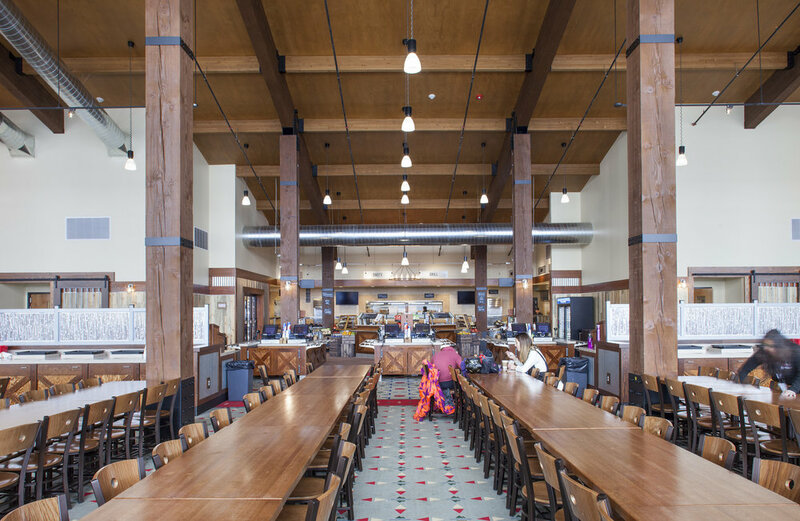 Pioneer Crossing is an on-mountain restaurant at the top of Peak 7 that both respects and blends in with the surrounding forest environment while still making a structural statement. 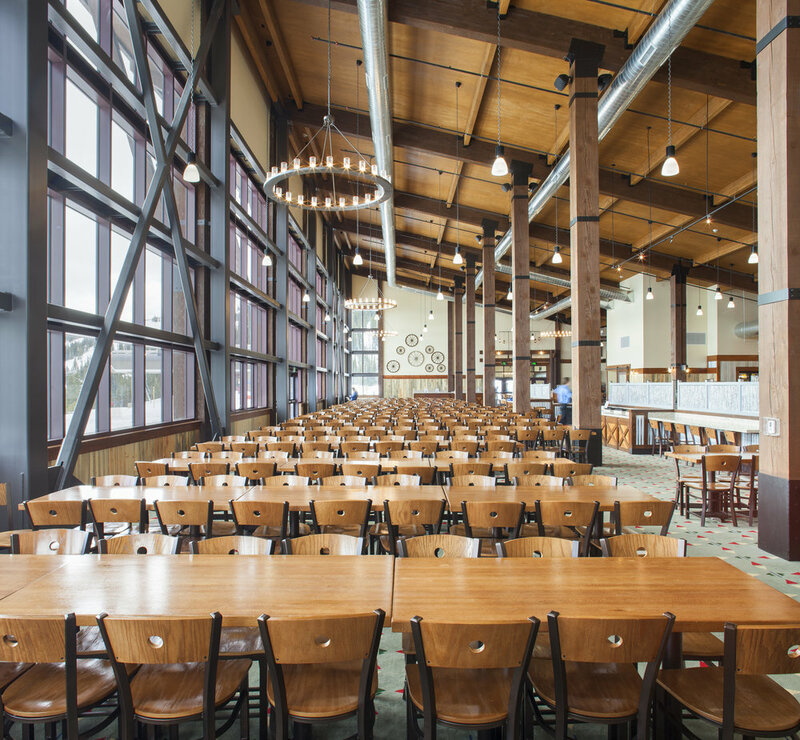 The panoramic glass façade showcases the mountainous views outside while guests can enjoy their food & drink, all while putting their feet up, experiencing the same excitement in the view as they would standing at the top of their favorite run, about to drop in. The dining area is an open, expansive floor plan, reflecting the client’s community-forward approach to design. Styled as a fresh reminder of western trailblazing, the interior provides an encompassing warmth while also giving a nod to the ecological heritage of the mountain and forests is rests within.